Frank O. Gonsalves, 91, died on Tuesday evening, Feb. 12, 2019, at his home in Vineyard Haven. He was the husband of Virginia M. (Cecilio) Gonsalves, and father of Wayne, Brian, and Glenn Gonsalves, and Paula Small. Frank was also the brother of Audrey Moreis, Sybil Moreis, Sandra Porrota, Dennis Gonsalves, and Jerome Gonsalves. Visitation in the Chapman, Cole and Gleason Funeral Home, Edgartown Road, Oak Bluffs, will be held on Monday, Feb. 18, from 5 to 7 pm. His funeral Mass will be celebrated in St. Augustine’s Church, Franklin Avenue, Vineyard Haven, on Tuesday, Feb. 19, at 11 am. Burial with military honors provided by the veterans of Martha’ Vineyard will follow in the Oak Grove Cemetery, State Road, Vineyard Haven. A complete obituary will appear in another edition of this paper. Visit ccgfuneralhome.com for online guestbook and information. 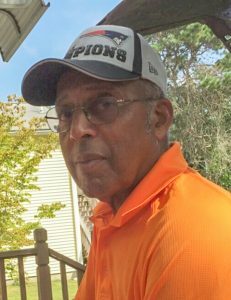 The post Services Tuesday for Frank O. Gonsalves appeared first on The Martha’s Vineyard Times.